Home » Why did US president G.W. Bush destroy Iraq? There are two main versions of the tragic happening. First, the official version that has come to be generally accepted by many. The second one does not accept the official version and offers its own explanations. However, I am not getting into any discussion here to argue which version is more reliable than the other. One thing is clear: The tragic event happened on American soil and a foreign country was punished for it that had no hand in 9/11. No one in American Government (Bush, Cheney, Rumsfeld, Powell) accused the government of President of Saddam Hussain of Iraq or any Iraqi being involved in the events of 9/11. 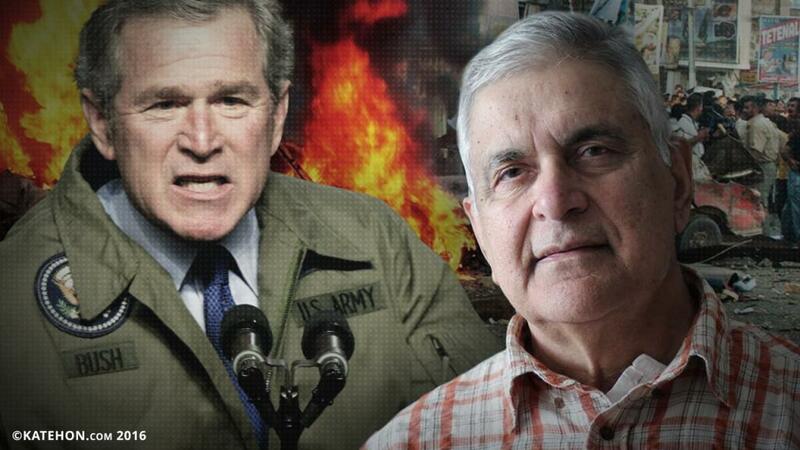 But in 2003 the Bush administration unleashed its destructive war on an innocent country without any reason. Why did American government commit this unnecessary war of aggression that destroyed this major Arab country and brought unmentionable misery on its people from which Iraq has not been able to recover even after 13 years? Iraq is in shambles. I have no answer. I think, no sane person in the world has any remotely justifiable reason for this barbarous war of aggression. neither can anyone claim that Iraqi oil and U.S. hegemony were justifiable policy decisions of the U.S. rulers.